Until a week ago, there were only three possibilities in Libya: the first one is the total collapse of the state and its institutions - a situation that would end up with dividing of the country. The second one is the seizure of armed militant groups, like al-Qaeda, of major cities and centers - a situation that would end up with a civil war. The third one is prolonged foreign military intervention – similar to the ongoing conflict in Afghanistan. If the Libyan army under the command of major general Khalifa Haftar - the military commander who in exile fought Muammar Qaddafi for 20 years and who three years ago led the fighting against Qaddafi’s troops - succeeds, then Libya would avoid the nightmare of all three possibilities. If it fails, then the entire world will be involved in a new failed state – the latest to be added to a list comprised of Afghanistan, Syria and Somalia. On the international level, Libya poses the biggest threat because it’s on Europe’s maritime borders. The North African state contains around 200,000 armed men who have taken over most cities, bringing the country to the brink of collapse. In the past two years, out of four prime ministers assigned, one of them fled the country out of fear - a ministry undersecretary was killed, the parliament was occupied and threatened, legislations were imposed as armed men’s convoys besieged the parliament, the American envoy was killed, Jordan’s ambassador was kidnapped, most foreign diplomats have fled and competent people as well as those who could afford to leave also left the country. Major General Haftar took action and gained the support of most disciplined military, security and civil sectors. In turn, he called on the Supreme Judicial Council to establish a crisis government to run the country until a new parliament is elected. 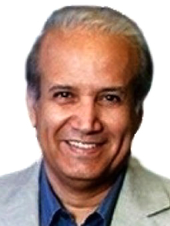 If the Libyan army hadn’t imposed its control and pursued militias, foreign intervention would have inevitably resulted in crises and international disputes. Europe won’t sit idle when a country on its southern border is in a state of a civil war. Europe would also not allow Libya, which is a major oil-producing country, to fall in the hands of armed extremist groups, some of which are linked to al-Qaeda. Many countries voiced their worry of the situation in Libya but only one country condemned the army’s intervention. This means that this intervention - or salvation or coup or revolution - enjoys unprecedented support resulting from fear of the situation. The army’s mission of pursuing these armed groups in Libya’s cities and vast deserts will be a long-term one. I believe that many regional and international powers, mainly Egypt and Algeria - who have previously voiced their fears of security chaos - will offer to help the Libyan army in implementing its task of purging the country of terrorism. The international community will be expected to later help Libya build civil states, strengthen security and direct different parties towards new civil governance. The Libyan army with its brave intervention is saving the country from chaos, division and foreign intervention, and hopefully troops will return to their barracks and the military command will respect its promises of civil governance. This article was first published in Asharq al-Awsat on May 24, 2014.